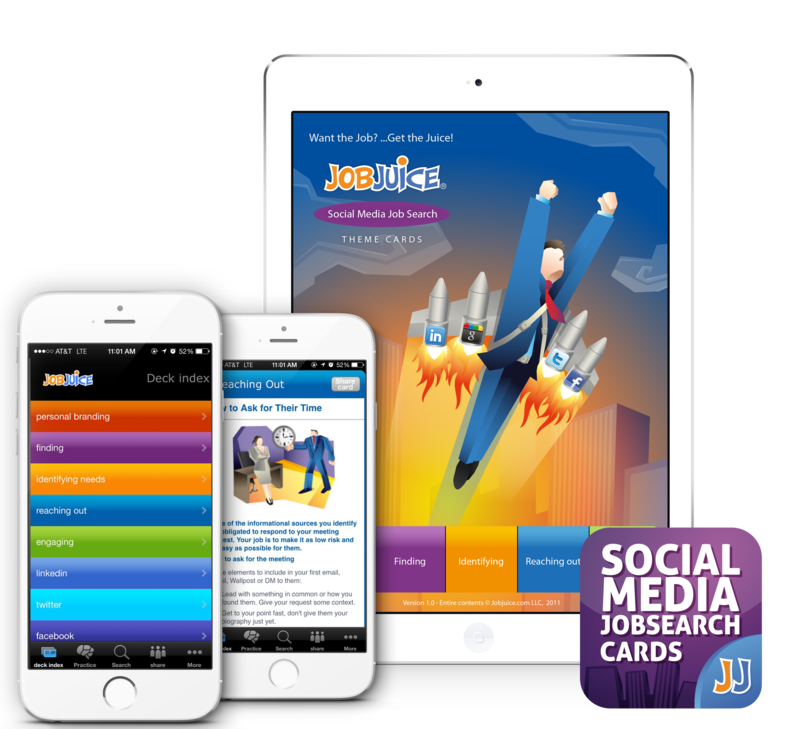 Thousands of students and job seekers have used Jobjuice to land their dream jobs. Conveniently summarized in bullet points. Presented in a color-coded, cross-referenced interactive flashcard format. 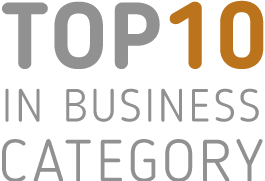 Featured in "New & Noteworthy"
Easily review high quality MBA level content in bullet point format. 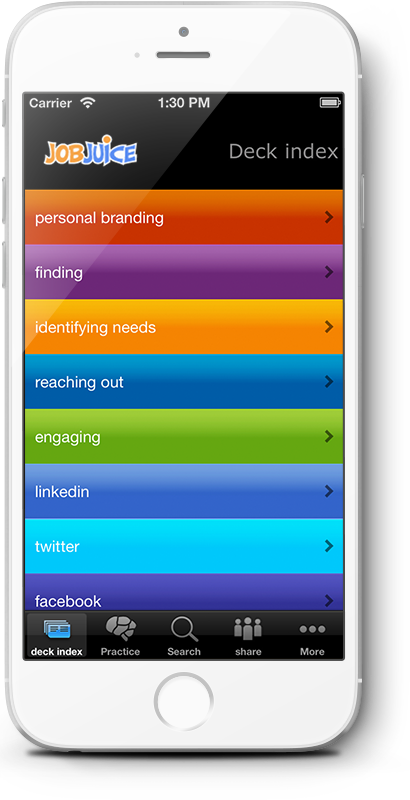 Navigate easily with color-coded and cross linked cards. Group cards according to your preferences. Select "favorite" cards for quick access. Flip through random cards to test memory. Learn what to expect and excel in your interviews. I use the app as a refresher and a reference. Very well done. I found the content direct and accurate and the flashcard method very helpful in retention. 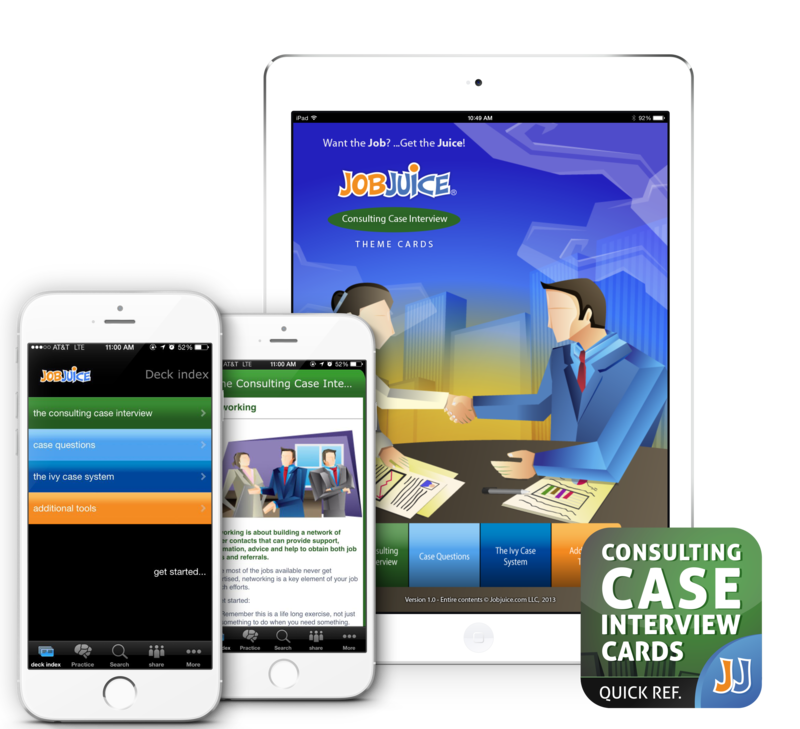 Over 30 cards taking you through the key elements of a consulting case interview. Based on Marc Consentino’s book Case in Point -- referred to as the case preparation ‘Bible’ for business students by the Wall Street Journal. 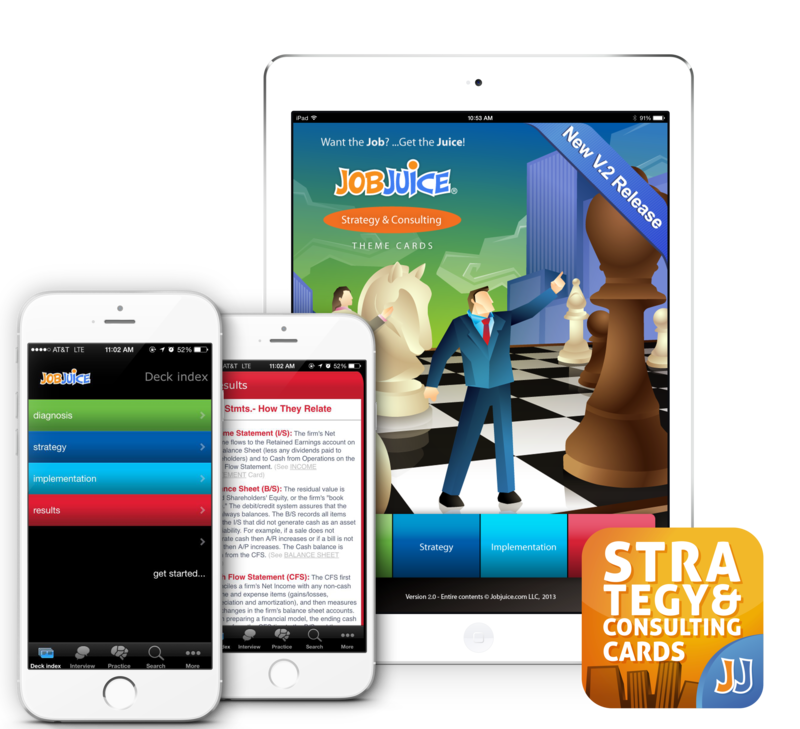 Over 100 cards that will help you build a powerful personal brand, identify job opportunities and engage potential employers. 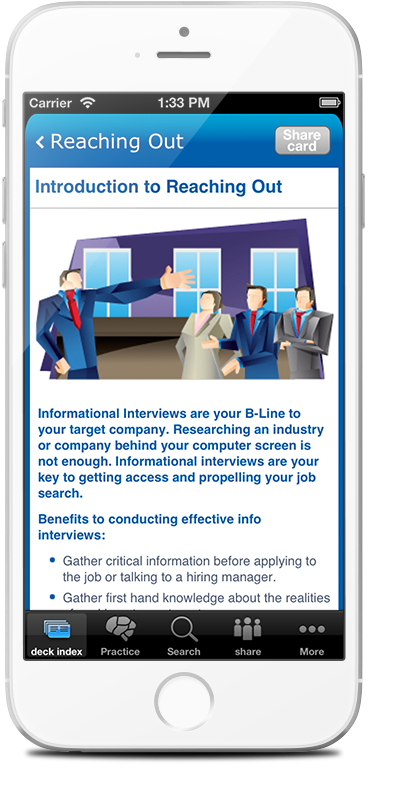 Includes the FIRE job search methodology and the social media tools you will need to land your next job! 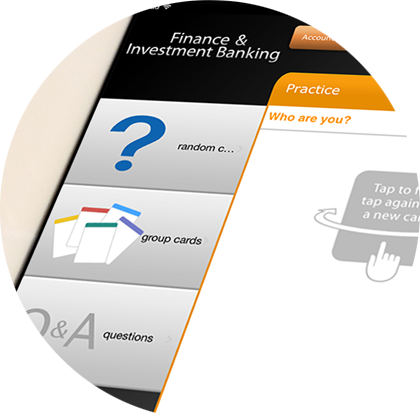 Over 80 cards covering diagnosis, strategy, implementation and results. 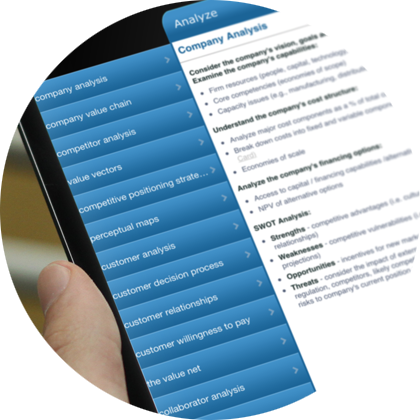 Includes a complete strategy & consulting interview section. 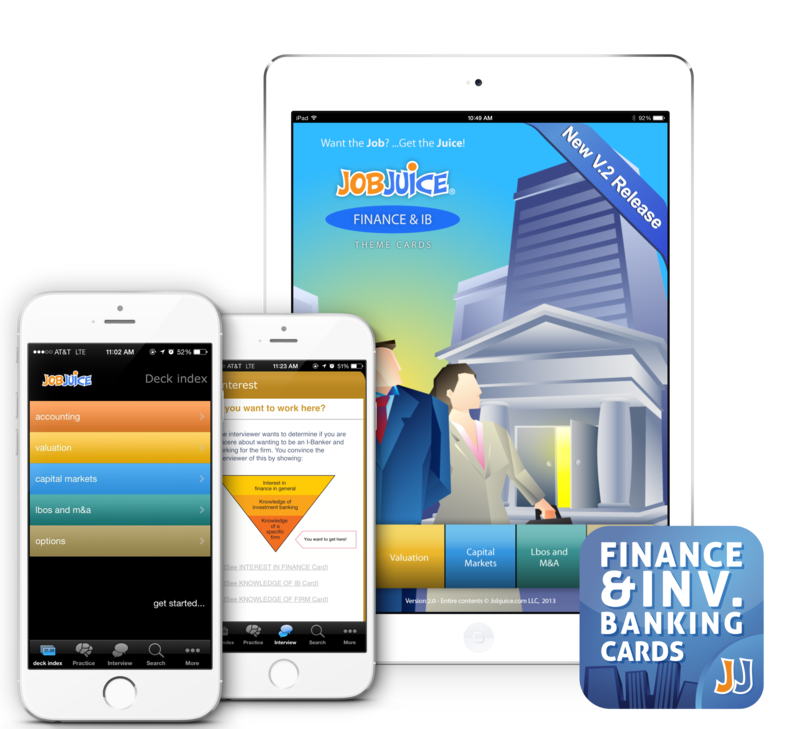 Over 60 cards with finance, accounting and valuation frameworks and concepts. 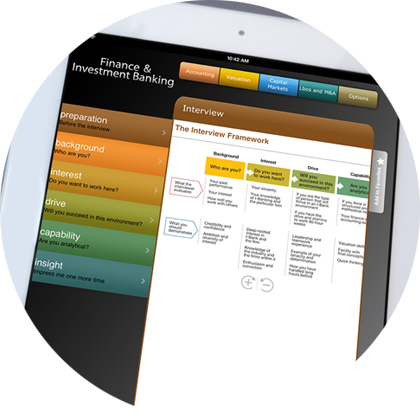 Includes a complete finance and investment banking interview section. 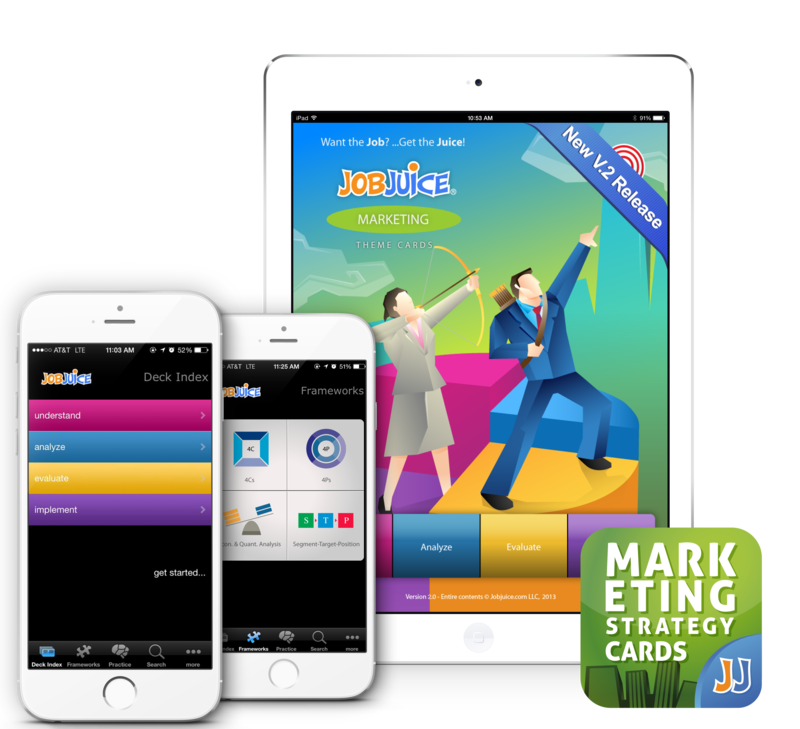 Over 55 full-color theme cards packed with marketing frameworks and business concepts. Includes a complete marketing interview section. Give your students the tools they need, in the format they want! Review key concepts anytime, anywhere... and ace your job interviews with Jobjuice Decks. 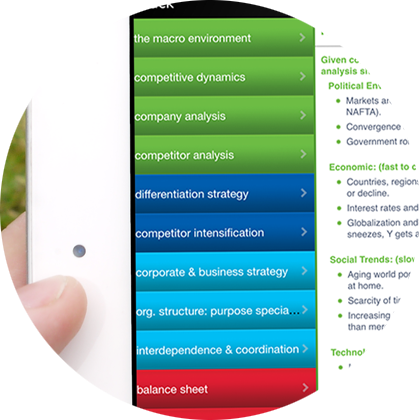 Available in Investment Banking, Consulting, and Marketing themes.